The five-day hunting safari special is conducted in the Limpopo Province of South Africa. It is one of the most memorable African hunting safari packages on offer. Hunting plains game in the Limpopo is one of the finest plains game hunting experiences South Africa has to offer. 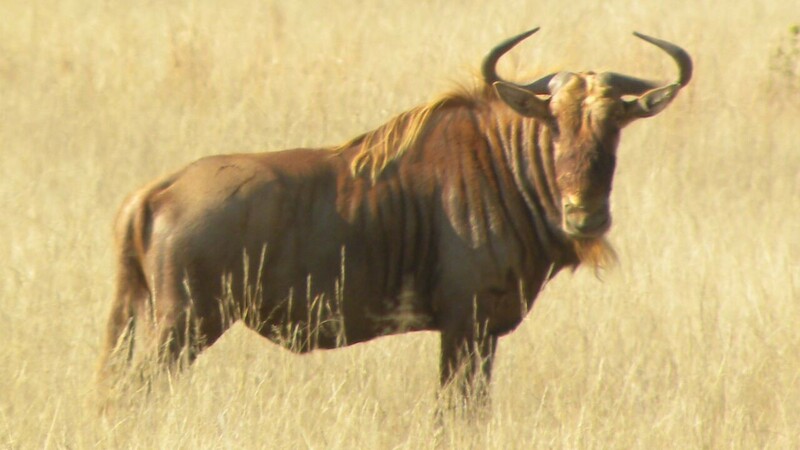 One of the most sought after South African plains game trophies, the Golden Wildebeest or Golden Gnu are included in this package. 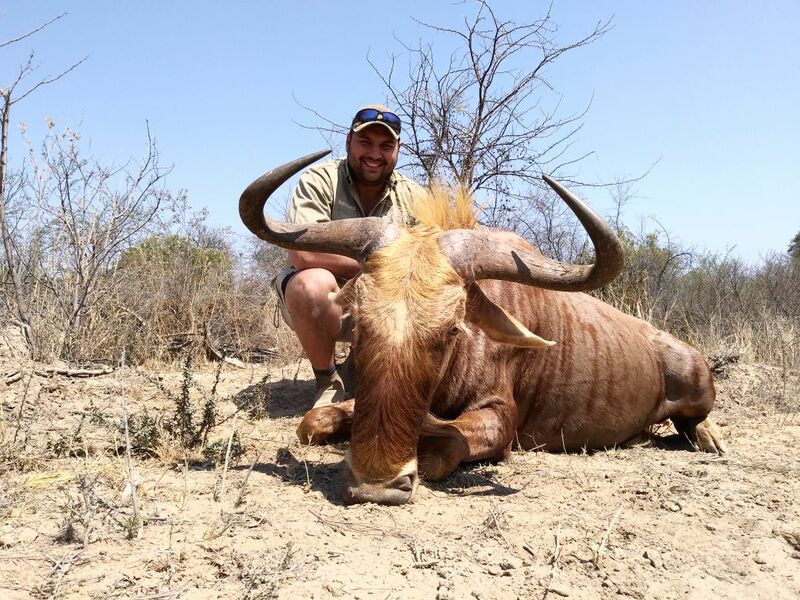 The area in which this hunting special is conducted, is about a two and a half hour drive from OR Tambo International airport in Johannesburg, making it a very convenient hunting destination. Pro Hunting Safaris has a concession on one of the oldest established game ranching operations in Limpopo. 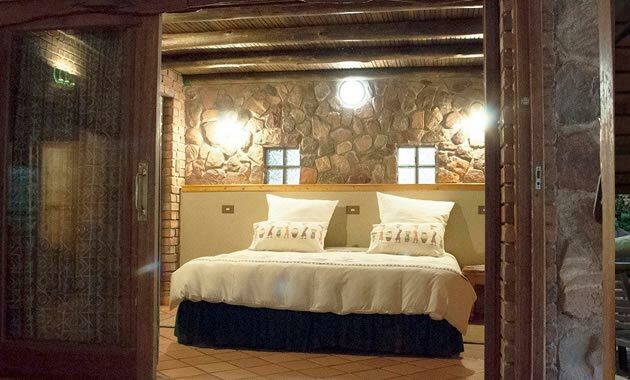 Situated in Central Limpopo, this 7000 ha (17300 acres) property overlooks the Waterberg Mountains. Clients are met upon arrival at OR Tambo International Airport in Johannesburg by your Professional Hunter and are returned there upon completion of the safari. Accommodation is in first rate hunting lodges where all modern amenities are available. Meals are of the highest standard and a large variety of alcoholic and non-alcoholic beverages are available (local beers and wines are included). Pro Hunting Safaris has a success rate close to 100% on the trophies. If, however, you do not take one of the trophies included in the hunting safari package that you have booked onto, 90% of the list price of the trophy is deducted from your hunting safari price. Day fees due in full when booking is made to secure your hunting safari adventure. Trophy fees payable in cash at the end of the hunt or trophy fees payable up-front before the start of the hunt via bank transfer. If your flight arrives after 15:00, we suggest that you overnight at the Lombardy Hotel on the day of arrival and start the safari on the following day. A cost of $200 per person includes accommodation, meals and a transfer to the hotel from OR Tambo International Airport in Johannesburg. Hunts booked for the same calendar year as the booking: Day fees due in full when booking is made. 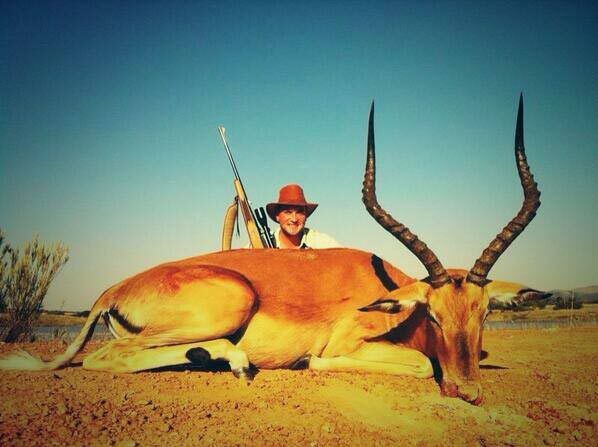 Pro Hunting Safaris reserves the right to change any of the terms, conditions and prices. Hunts booked for coming year’s, 50% of day fees payable when you book, balance of day fees to reflect in Pro Hunting Safaris’ account 21 days before the start of the hunt. Trophy fees payable in cash at the end of the hunt or trophy fees payable up-front before the start of the hunt via bank transfer. No hunting whatsoever is permitted from or within 200 meters of any vehicle, hunting is done on foot. Any animal wounded is payable in full. You will be met upon arrival at OR Tambo International by your professional hunters. They will be holding a sign with your name on as you enter the arrivals lounge. From here its is a two and a half hour drive to Vaalwater. Clients and professional hunters are met upon arrival at the hunting camp. The days are spent hunting the Concession. The climate can be varied, with frosty winters and hot summers in the northern reaches of the province. All of the popular plains game species can be found in the Limpopo, including a few not found in other areas. Blesbuck Blue Wildebeest, Buffalo, Bush Pig, Bushbuck, Common Reedbuck, Eland, Giraffe, Grey Duiker, Impala, Jackal, Kudu, Nyala, Ostrich, Red Hartebeest, Steenbok, Warthog, Waterbuck, White Rhino, Burchell’s Zebra. You are welcome to take trophies in addition to the ones in your package, should the opportunity present itself. All dangerous game have to be pre-booked. Additional trophies are charged at list prices. The last morning spent in the African wilderness is followed by drive back to Johannesburg. Some time devoted to paperwork is followed by a late lunch after which guests are transferred to the airport, where their memorable African hunting safari ends.